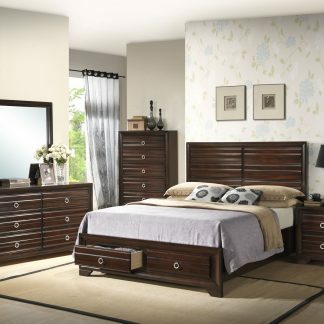 The Monarch Collection boasts an elegant design that will make a grand statement in your bedroom. 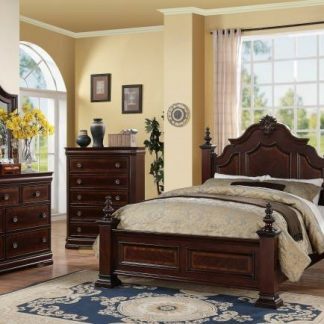 Its curves and subtle details are featured throughout, including decorative finials, molding and unique, flowing lines and shapes. 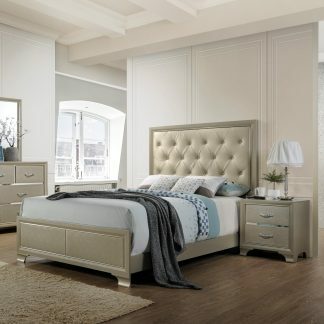 This collection will prove to be a unique and stylish addition to your master and guest bedrooms. 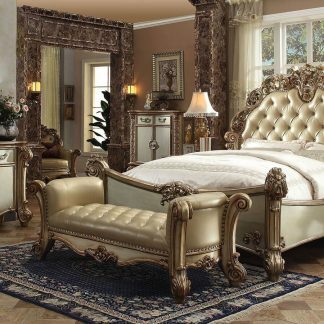 The set includes a king/queen bed frame along with a dresser and mirror. 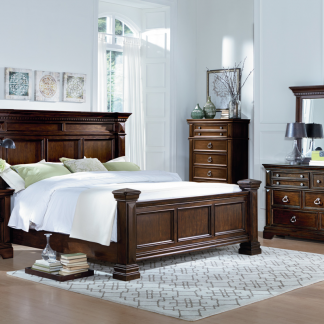 Purchase the chest and get a free nightstand.